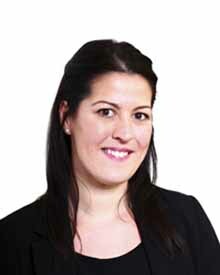 Yvonne is the Head of Business Strategy and Development and Head of the Litigation and Business Services Departments. She specialises in all aspects of litigation and disputes. The majority of Yvonne’s time is spent managing the firm, its growth and strategic direction. After qualification Yvonne spent five years at a large Worcestershire practice dealing with all types of commercial and private client disputes, employment and insolvency matters before joining SME. Clients regularly praise her direct and commercially minded approach to dealing with matters, offering clear and pragmatic advice. Yvonne takes a particular interest in the strategic direction of the firm and the development of personnel at SME. She is also a Director and on the Board of the Worcestershire Ambassadors working hard to promote Worcester as a place to live, work and visit. Yvonne is particularly interested in and helps promote sponsorship opportunities the Ambassadors provide to organisations and events aiming to promote Worcestershire. For more information on this please click here. To contact Yvonne please email yvonne.tivey@smesolicitors.co.uk. "It is always a pleasure to deal with Yvonne and her team at SME, they have a way of cutting through the broader points and addressing the finer detail which is refreshing. A very results driven team that keep one informed thus making the experience a lot less stressful. I would highly recommend SME for both business and personal legal solutions"